Songbringer is a 3/4­ perspective, pixel art, sci-­fi, action RPG with procedurally generated overworlds and dungeons. The game is single player or two player local co­-op. 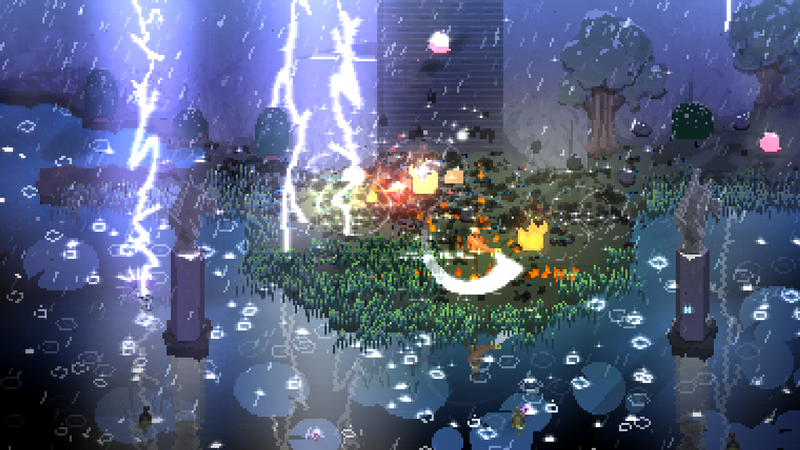 Combat in the game is action­-packed, including many kinds of weapons such as the nanosword, the boomerang­-like top hat, the ghost sword projectile, bombs and the blink orb teleportation / dodge skill. 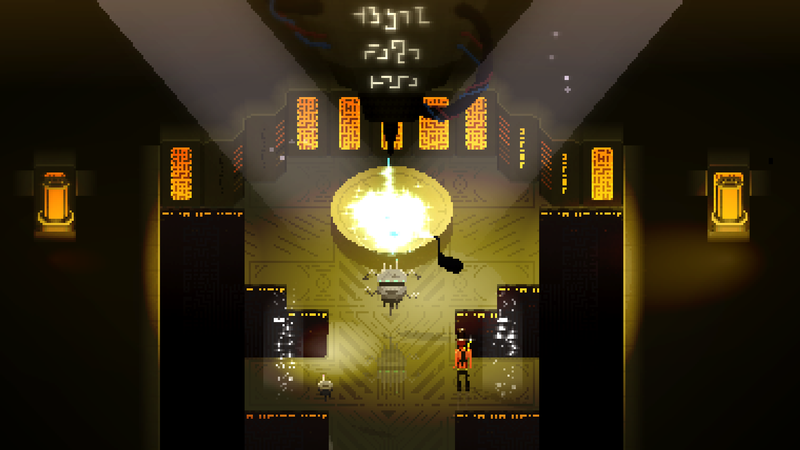 Players enter a six-­letter world seed when starting a new adventure. The seed is used to generate the world dynamically and is deterministic. Entering the same seed will always generate the same world. Millions of worlds are possible. Progress in the game is made by discovering new items which enhance the player's abilities and grant access to new areas. Some items can even be combined, for example the fire cube crafted with the tophat becomes a flaming top hat. 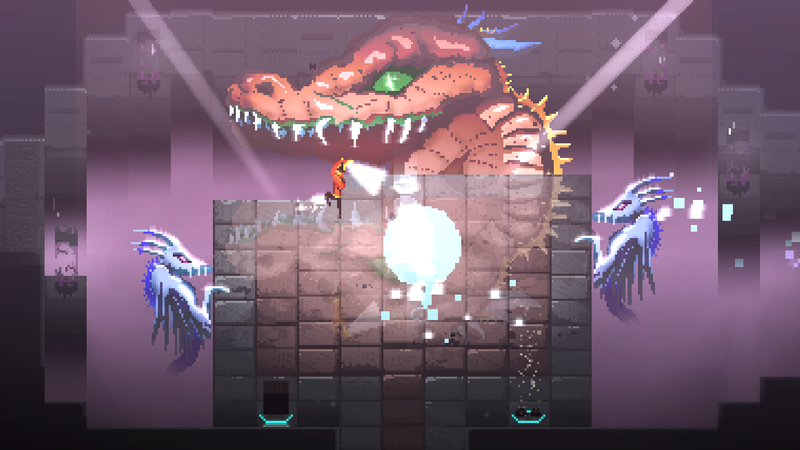 The player encounters various kinds of enemies, including gigantic bosses. 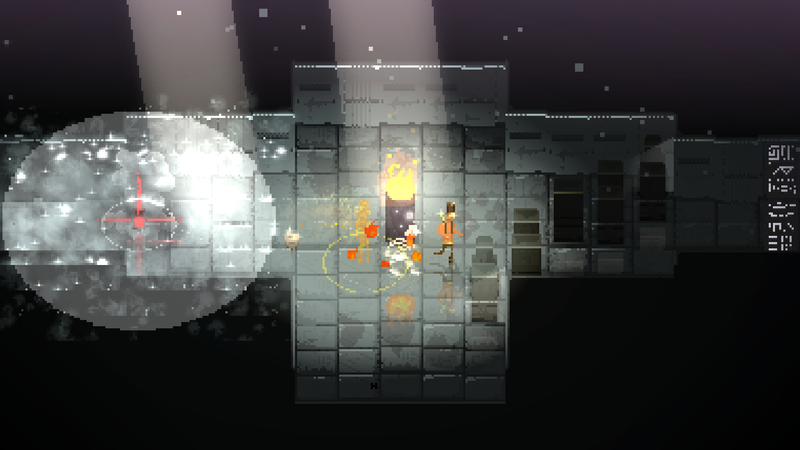 Puzzles keep the gameplay fresh and varied. 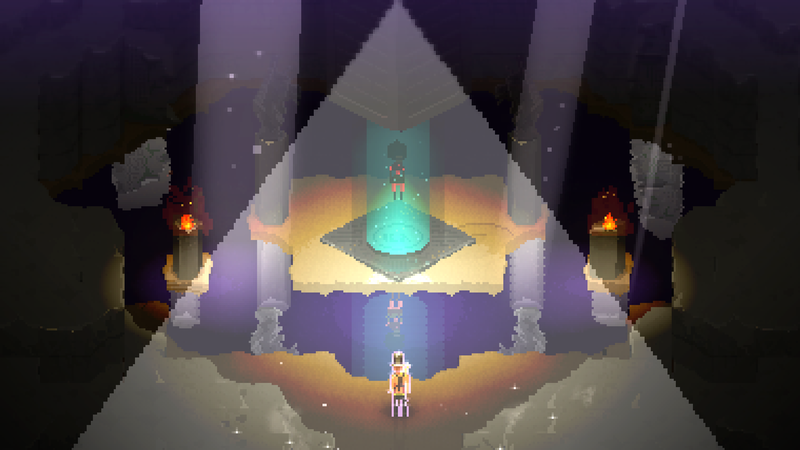 A deep and immersive narrative underpins the Songbringer universe. The story is told from the perspective of two friends: a human named Roq and a robot named Jib. With great love for the 8-bit classics, Songbringer began with a few simple live streams and now has a growing community of backers. 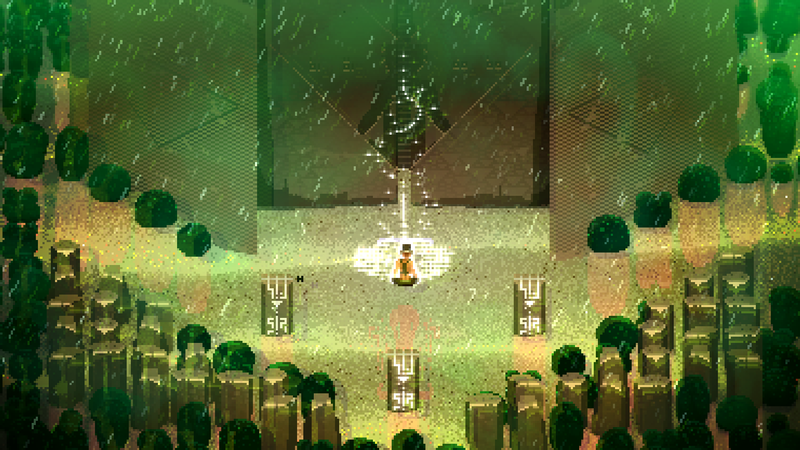 Songbringer was funded with Kickstarter on May 13th, 2015 and given the Greenlight on Steam April 25th, 2015. Since then the game has had an early press release and multiple alpha releases to Steam. The beta version was released on Steam February 21st, 2016 -- the 20 year anniversary of the release of the original Zelda game -- and has received weekly updates since then. 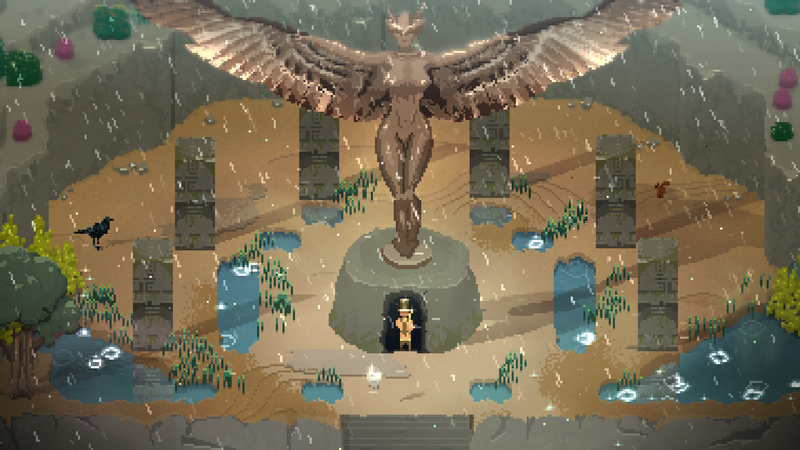 In 2017, Songbringer had showings at GDC, PAX East and E3. The game was launched on Steam, GOG, Xbox One on September 1st, 2017, Playstation 4 on September 5th, 2017 and Nintendo Switch on May 31st, 2018. "Both mind-expanding cacti and intense meditation play an integral role throughout the game." 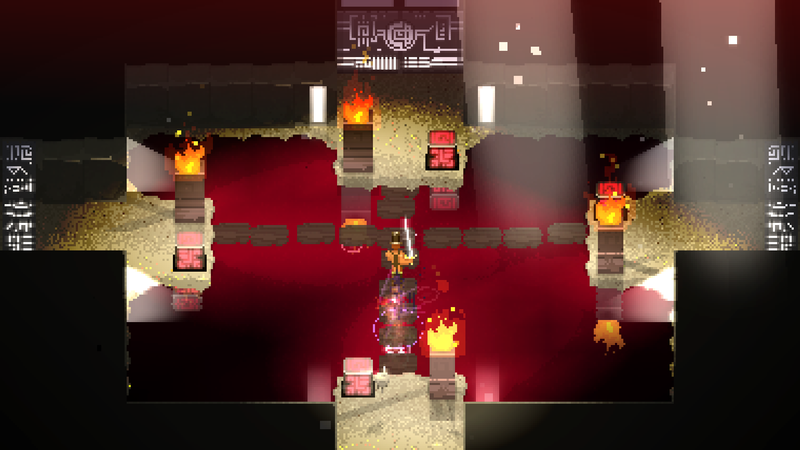 "Horrors lurk in Songbringer's procedurally generated dungeons." "Millions of unique worlds? Zelda-style exploration, combat, and puzzling? Be still, my beating heart." "As they say, there's no such thing as a free legendary sword." 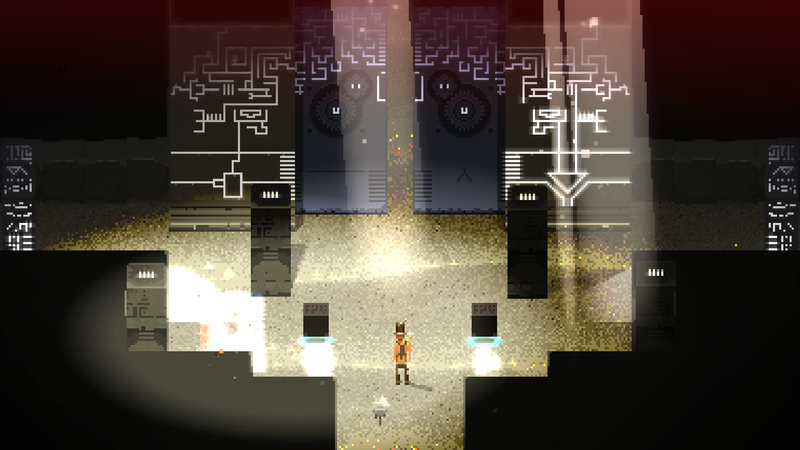 "Visually impressive world filled with exploration, puzzles, and secrets." 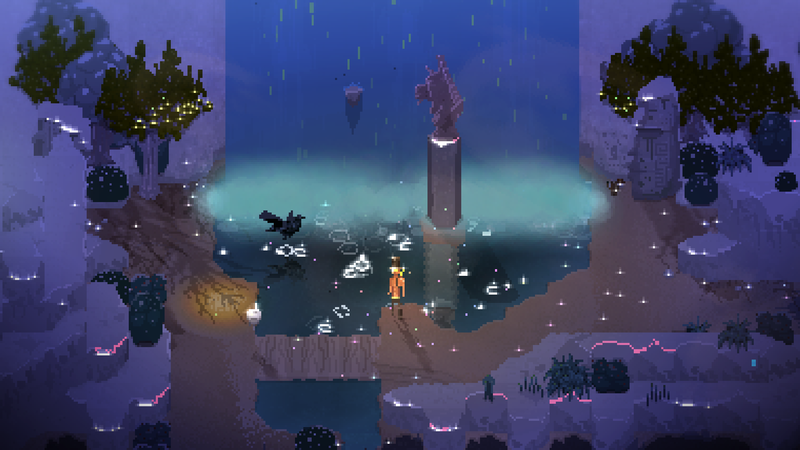 "Songbringer seems to have things down perfectly." "I had fun blowing up and stabbing space demons, but selfishly I cannot wait to see what the community does with Songbringer." "Songbringer to have "bespoke" feeling procedural worlds"
"Songbringer... aims to give players everything they love about the Zelda formula with the magic of procedural generation to keep things fresh." 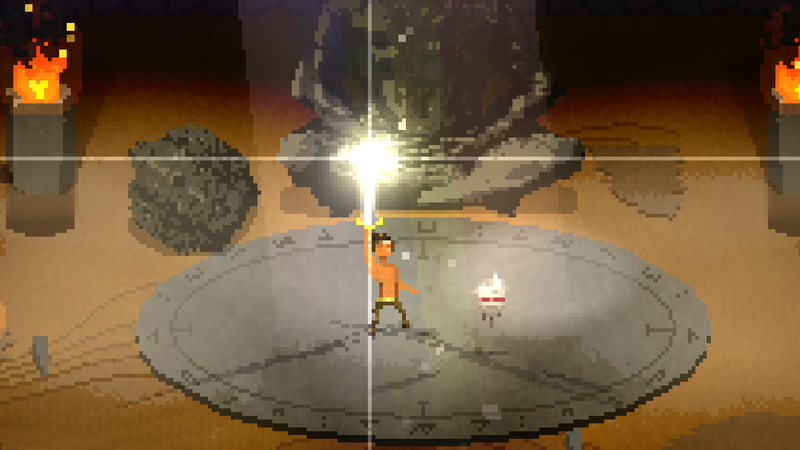 "Songbringer has a lot of little facets that just inject personality into it constantly." 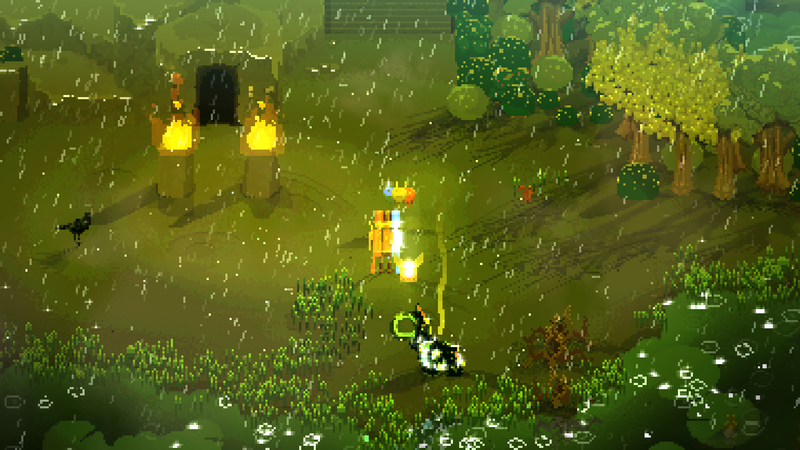 "Obvious that Songbringer is much more than we expected." "The game is badass. It oozes with style." "The gameplay was almost instantly familiar." "When the search for the ultimate party goes completely wrong but ever so right." "Harking back to the days of 8-bit RPGs..."
We're happy to send builds to press, shoot us an email and we'll get back to you! 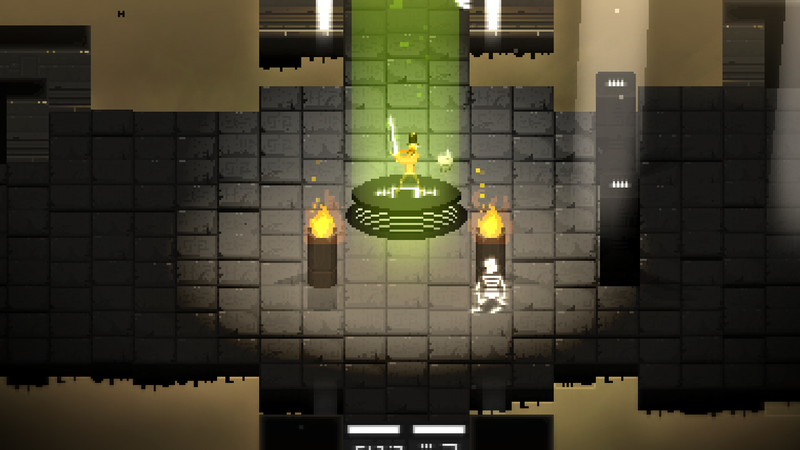 Wizard Fu Games allows for the contents of Songbringer to be published through video broadcasting services for any commercial or non-commercial purposes. Monetization of videos created containing assets from Songbringer is legally & explicitly allowed by Wizard Fu Games. This permission can be found in writing at http://wizardfu.com/press/sheet.php?p=songbringer. To request a promo key, please use keymailer.co. The studio bringing Songbringer to PS4 and Xbox One double11.com. Cable-access show hilarity with hosts Jon Carnage and Futureman. twitch.tv. Live stream with host Danny O'Dwyer twitch.tv. Wizard Fu Games is a one-man indie game development studio based in Oakland, California. Nathanael Weiss is the sole programmer, designer, artist, musician and businessman. Wizard Fu released Songbringer, a procedurally-generated action RPG, in September of 2017 on Steam, PS4, Xbox One and Nintendo Switch with the help of publisher Double Eleven, Ltd. The latest in development is Loderagger, a creative 5v5 multiplayer game set in the Songbringer universe. More information on Wizard Fu Games, our logo & relevant media are available here.